First of, I'm new here at Destructoid, and not a big blogger from the get go, so this might be interesting or I might fall flat on my face, But as my first blog post I thought starting where my fascination with games started would be a great place to begin. But what we did know, that this was the single most coolest thing we'd ever gotten from our parents, and as we found out the day after, most of our cousin's (who lived right in the neighbourhood) had gotten the same console, just different games than we had. Hours upon end we played games like Sonic The Hedgehog, California Games, Tiny Toons: Busters Big Adventure, Toy Story and more. As I grew up I eventually moved on to newer console's, but my siblings quickly outgrew the facination with games, but here I am, 19 years since I got my first console, Writing a blog post on a video game website. Needless to say. The Sega was my gateway into the gaming culture. 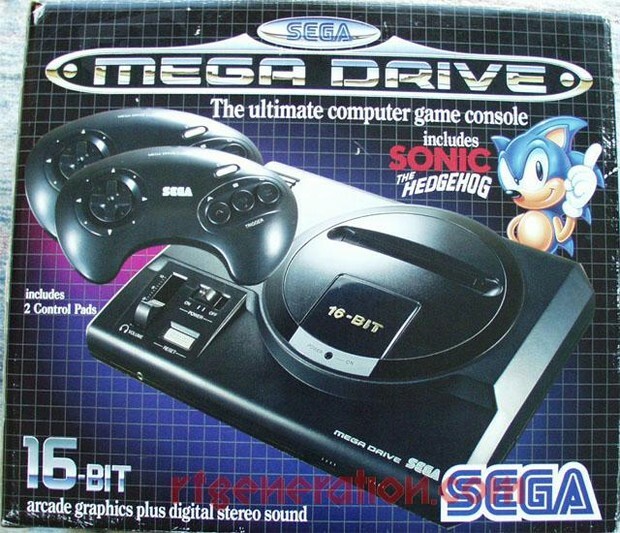 Many years have passed, and many console's have come and gone since I first played the Sega Mega Drive. but looking back at the console's that I've owned over the years, PS3, The 360, Wii, PS2, and PSX. the one I keep coming back to is the Mega Drive. And the ball kept rolling, Soon I was doing research on what specific version of the console I had, it's capabilities and now, a couple of monts later, I guess I can consider myself a collector of some sorts. Do any of you have any memories of the Mega Drive / Genesis? Any games you would reccomend me to check out?